Women’s ‘Clark’ slouchy high waisted trousers from Ganni. Crafted with a weightless, flowing material, the pants comprise an elasticated waist, two side slip pockets and ankle zips. 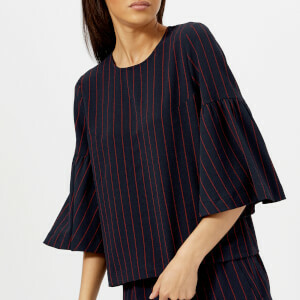 A muted navy and red striped pattern completes the design.